When I first came to Florence, I was very skeptical about the sports scene. I am not a large soccer/football fan and I was worried that there would be nothing else to catch my interest. Little did I know that Lebron is literally everywhere, arguably on the level of Michael Jordan fame on the world stage. Cavaliers fans are still abundant and you can find playoff games playing at the local pub. Sadly they are rewinds, but it is still possible to watch every scene the next day while pretending you do not know the outcome of the game. I have found that one of my favorite sports, basketball, was still something I could engage while living in my new home for the next few months. I hear about players from the United States joining teams overseas, traversing through Europe at a professional level; however, it was never really something I could pay attention to until I was in a different country. Focusing on these players has helped me to find a grasp on a vastly different organization than the NBA that ranges from the Lega Basket, to the Lega Pallacanestro, and to the Federazione Italiana Pallacanestro (FIP). They have been a connecting link to a new culture and helpful when discovering new teams. Focusing on American players has helped me find my connection to the sport here; not just the one I have found through the city I have the pleasure of living in. Although Florence does not have any American players for the time being, there are still many throughout Italy in Serie A, A2, Serie C Gold, and Serie C Silver. However, there are none currently in Serie B or Serie D that I could find. Each of the 16 teams that make up Serie A have approximately four players who are American. Just to mention, Fiat Torino has six players from the United States and EA7 Emporio Armani Milano has three. Moreover, just looking at what city the players are from can expand the range of connections that can be made. In Flex Pistoia, Ronald Moore is from Philadelphia, a city in my home state of Pennsylvania. David Lightly from Dinamo Sassari is from Cleveland close to my University in the United States. From the 32 teams that make up Serie A2, 65 players are from the USA coming from both the east and west teams. A closer team to Florence would be Mens Sana Basket Siena 1871 with 2 players from the United States, KT Harrel and Mike Myers. 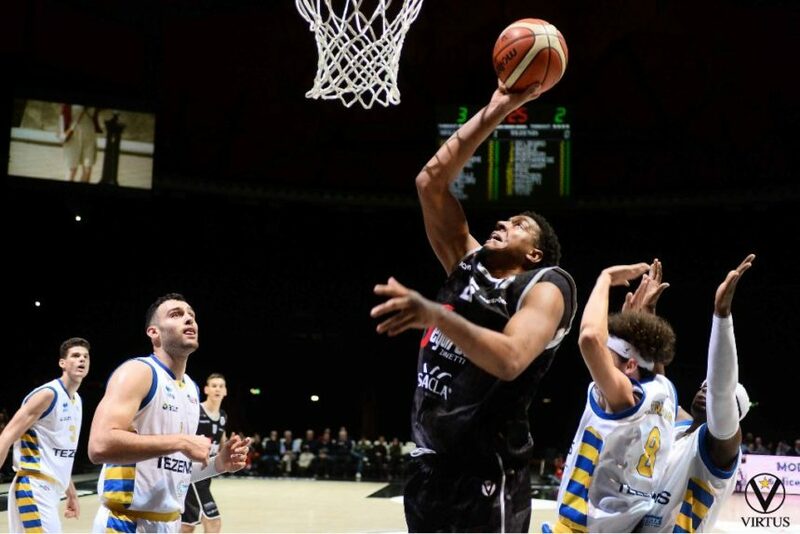 If you are continuing to follow the teams that are advancing in Serie A2 you can focus on Virtus Segafredo Bologna with their win against OraSì Ravenna this past week in the Semi Finals and their two American players, Kenny Lawson and US-Nigerian player Michael Umeh. Knowing about the American players in Europe makes a new sport more navigable and can make a large environment a little bit smaller. Connecting with a player, like many do with Lebron James or Stephen Curry can help when finding a new team. However, star players come from all over so this is not just to say focus on American players, but find a player you can support. Only a few players have been mentioned from the United States in this article, but they are just a small fish in a big pond of Italian basketball that still must be navigated and explored.